A licensed practical nurse (LPN) assumes a range of healthcare responsibilities. Critical daily tasks include collecting samples, cleaning and monitoring medical equipment, measuring and recording vital signs, dressing wounds, and gathering medical information from patients. 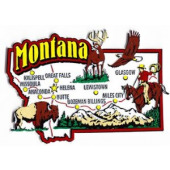 Aspiring LPNs in Montana must complete a state-approved associate’s degree program, which typically requires two years of fulltime study, and successfully pass a national licensure exam. They are also required to renew their licenses every two years. The median income for Montana’s LPNs is about $37,500. We have profiled below several of the top LPN programs in Montana. Missoula College offers an associate of applied science (AAS) degree in practical nursing. Admissions is extremely selective: students must hold a 2.75 cumulative GPA, and only 20 students are accepted into the LPN program every semester. Upon successful graduation, students can work for local healthcare employers like Providence Health & Services. Flathead’s LPN program is a four-semester, 52-credit program. The first two semesters focus on prerequisite courses. Prospective students must complete a formal application to the program and meet the college’s rigorous admissions standards. Flathead’s LPN students have performed very well on the NCLEX-PN national licensure examination, typically passing at a rate of 95% or higher. City College offers a well-established prelicensure program for aspiring LPNs. Like many of Montana’s colleges, the school has a competitive admissions procedure in place. Program costs vary depending upon whether the student is a Montana resident or hails from out-of-state. To help Montana’s aspiring LPNs find the best prelicensure programs, we’ve provided below a full list of the state’s LPN offerings.